Bradley loves getting a lot of attention, and I'm more than willing to give him all the attention he needs (especially before the new baby comes). That makes it more than essential to have dinners on hand that I can either make in advance or that take little prep time. Slow cooker meals are ideal since I can throw everything in the crockpot and then have the rest of the day to devote to my attention-seeking son. Chris and I both love sandwiches (and Bradley loves everything!) so French Dip sandwiches immediately sounded like an easy win in my book. They were extremely easy to prepare and even better to eat. 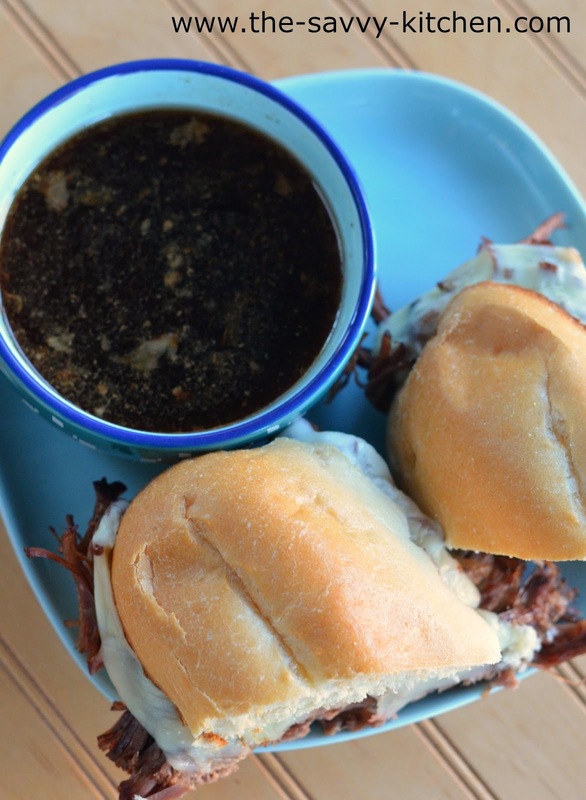 The au jus sauce had tons of flavor and was a delicious accompaniment to the sandwich. Enjoy! Season the beef roast with salt and pepper. 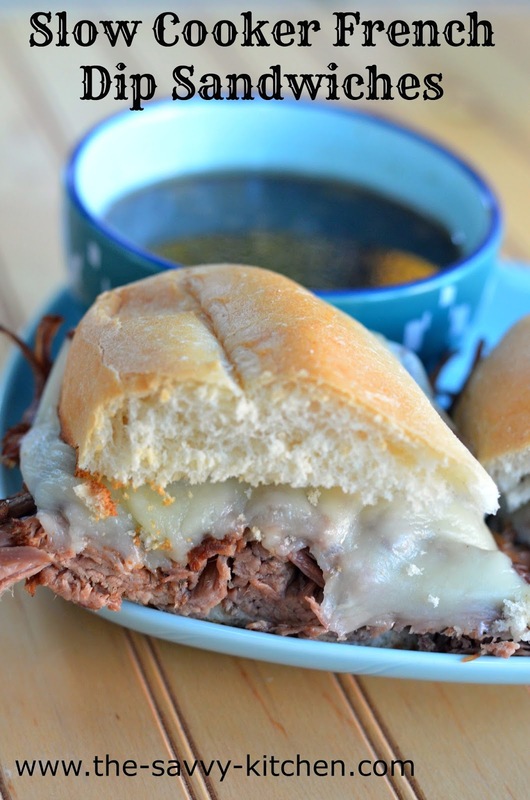 In your slow cooker, add the beef consommé, beef broth, Worcestershire, onion soup mix and Au Jus gravy mix. Stir until combined. Add the beef. Cover and cook on low for 8-10 hours or on high for 5-7 hours. Remove beef from slow cooker and shred using two forks. Arrange the sub buns on a baking sheet. Top each half with the shredded beef and two slices of cheese. Place under the broiler for 2-3 minutes or until cheese is melted and bread is crusty. Remove from oven and place the second half of bread on top of the sandwich. Meanwhile, skim fat from the juices in the slow cooker. Spoon juices into small bowls. Serve alongside bread as a dipping sauce.